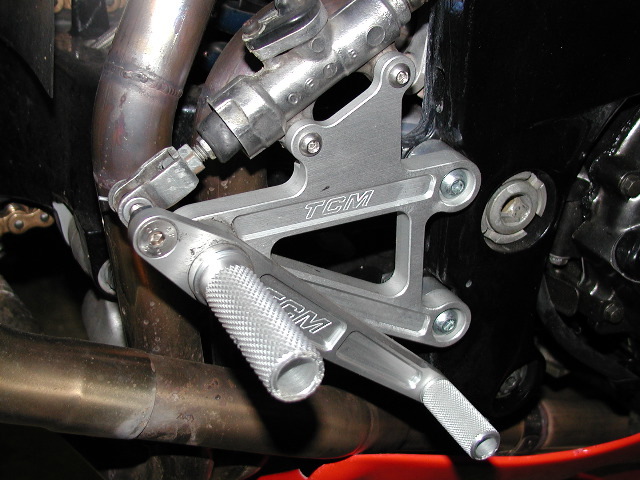 This is the rearset that my bike fell on when it was knocked over in the pits. It isn't apparent, but there are a couple minor scratches on the end of the peg. The rearset is otherwise undamaged.